People walk in a market in Istanbul. Turkey's central bank announced a series of measures on Aug. 13 to free up cash for banks as the country grapples with a currency crisis. Financial crises are fond of jolting us out of our stupor every 10 years or so. In 1987, we had the great stock-market collapse – Black Monday – when the Dow lost 22 per cent in one day. The emerging-markets crisis came 11 years later, when the Thai baht, and then the Russian ruble, collapsed, triggering defaults in those countries. We have yet to fully recover from the 2008 financial meltdown and the deep recessions that followed. The never-ending pain in the Italian and Greek economies come to mind. Are we on the verge of a fourth global, or near-global, crisis in as many decades? Currency traders who play the Turkish lira, and who follow the tragi-comedy of the Turkish government’s economic policies, care of strongman President Recep Tayyip Erdogan, wonder whether Turkey could ignite another emerging markets crisis. After 20 years, isn’t one overdue? The lira has lost about 40 per cent of its value against the dollar since the start of the year and was down 50 per cent at one point. Mr. Erdogan and U.S. President Donald Trump are at each other’s throats, in good part because Turkey refuses to release American pastor Andrew Brunson, who has been detained on espionage and terrorism charges. The White House has recently doubled the tariffs on Turkish steel and aluminum imports; were it not for the tariffs, the enfeebled lira would allow exports to soar. The lira’s sell-off has hurt the currencies of a few other emerging-market countries – among them Argentina and Indonesia – and ugly, broad contagion is not out of the question. The warning came when Turkish bonds came under intense pressure. The yield on Turkey’s benchmark bond touched a historic high of 20 per cent early this month. All is not well in Istanbul and Ankara. Yet Turkey should not flatter itself. Its problems, while deep, aren’t deep enough to flatten the planet. 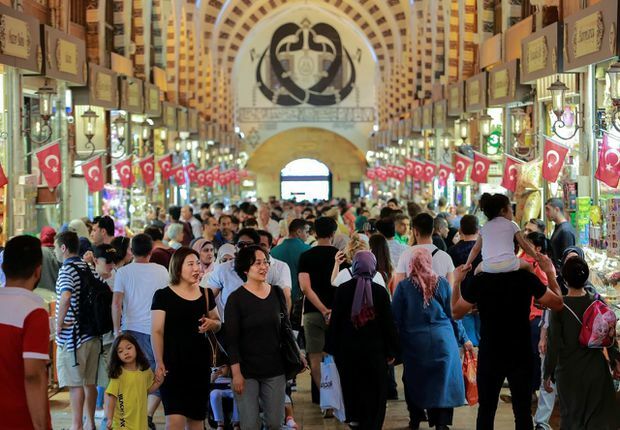 The emerging markets were selling off before Turkey stumbled onto the scene – the MSCI Emerging Market Index is down 20 per cent from its January high – and the Turkish economy is not crippled in the way Greece’s was during the post-2008 drubbing. One-quarter of the Greek economy evaporated. Turkey’s is still growing at rates – about 4 per cent – that Europe would envy. Turkey’s unemployment rate is actually dropping and was last reported at 9.7 per cent. In Greece, smack next door, the jobless figure is more than double Turkey’s. Still, the Turkish crisis is a genuine crisis. More than a few economists and analysts had warned for years that Turkey was playing with fire. The proximate cause of the fire was a debt binge fuelling an overly hot economy. Mr. Erdogan was running it hot in the lead up to the June general elections. He, of course, won by a landslide, all the better to fulfill his dream of creating an all-powerful executive presidency, one that would allow him to make unilateral populist – and dubious – economic decisions. Turkey’s central bank is only nominally independent. Turkey has been borrowing like mad to finance infrastructure projects, such as the US$11-billion Istanbul-Izmir highway, and other vote-nabbing schemes. A huge amount of that debt was in U.S. dollars and they came cheap, thanks to the U.S. Federal Reserve’s quantitative easing program, which pushed down borrowing costs. According to one estimate, Turkish companies alone piled up US$220-billion in debt. 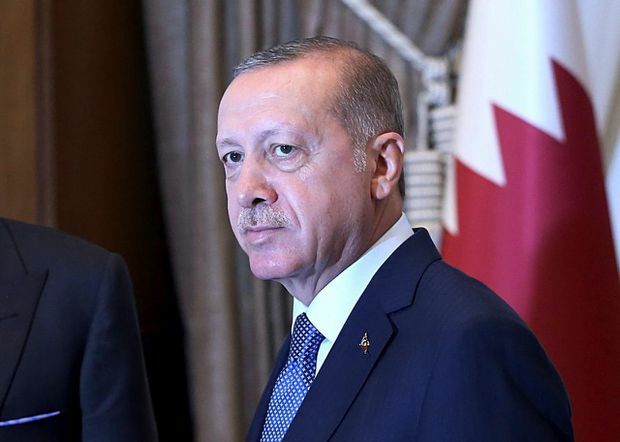 Turkey's President Recep Tayyip Erdogan at the Presidential Palace in Ankara, Turkey, prior to his meeting with Qatar's Emir Sheikh Tamim bin Hamad Al Thani on Aug. 15, 2018. It all worked well until QE ended, the Fed lifted interest rates and the dollar climbed. The cost of repaying that debt has soared, all the more so since the lira has plunged. Meanwhile, Turkey finds itself having to finance a fat current account deficit. Inflation has climbed into solid double digits. In mid-August, Standard & Poor’s and Moody’s downgraded Turkey’s debt, pushing it farther into “junk” territory. The agencies said they were not impressed with the government’s policy response, or lack thereof, to the crisis. Indeed, Mr. Erdogan seems to be ignoring the classic crisis fix-it playbook, which dictates that high interest rates should be used to fight a plunging currency and soaring inflation. While the Turkish central bank has hiked rates by five percentage points since start of the year, the rise has done virtually nothing slow the lira’s fall or inflation’s rise. More hikes are needed, but Mr. Erdogan seems convinced that high rates will bring in a recession. He is also resisting a bailout, though Turkey is seeking smallish loans from allies. China and Qatar have pledged to invest a few billion dollars into various projects. Appointing his son-in-law as Finance Minister – nepotism in action – did not build investor confidence. Turkey, however, is far from dying. Unlike Venezuela, it has not destroyed its means of production and no company has been forced to sell its business to the state. No big multinational has pulled out. Fiat Chrysler Automobiles is still building lots of cars in Turkey, and exporting them. Smallish reforms are coming in, allowing a primary balance deficit (the deficit before interest payments) to swing marginally into surplus. The lira has bounced back a bit in the last week. True, Mr. Erdogan runs an illiberal democracy. He crushes dissent and makes bad economic decisions, but not so bad that Turkey is going down the toilet. At some point, probably soon, investors will take advantage of the cheap lira and start buying – the recent upturn in the currency says that has already started. The hedge funds probably made a killing shorting Turkish assets earlier this year. Watch them do the opposite trade now that the panic seems to be subsiding. Mr. Erdogan might be arrogant and economically short-sighted. But he is not turning Turkey into a Greece or Venezuela.